Figure skaters were busy at the 2018 Pyeongchang Winter Olympics. 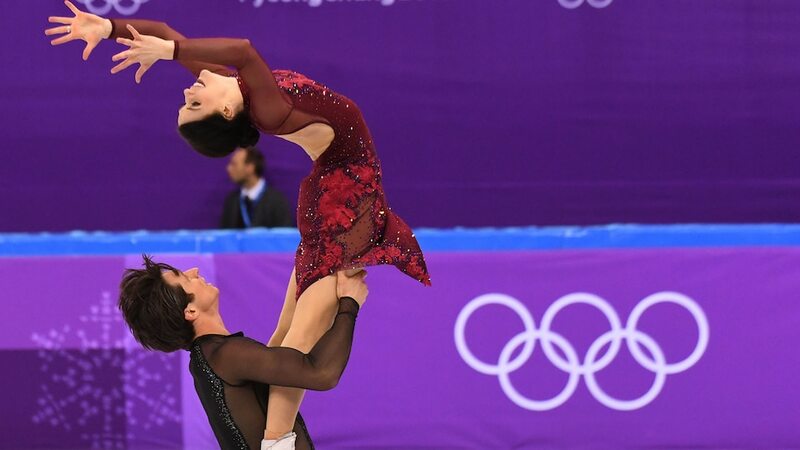 Here's a look at the top moments from each figure skating event. Canada wins gold, helped by three-time world champion Patrick Chan winning the free skate. He’s the first Canadian men’s skater to win a gold medal. Yevgenia Medvedeva, representing the Olympic Athletes from Russia, wins the short program in the team event to help her team to silver. Mirai Nagasu makes history as the first U.S. woman to land a triple Axel on Olympic ice, helping Team USA secure bronze medals. Aliona Savchenko competed in her fifth Winter Olympics and earned gold for the first time with new partner Bruno Massot, who made his Olympic debut. Reigning world champions Sui Wenjing and Han Cong captured silver medals, the first pairs medals for China since 2010. Meagan Duhamel and Eric Radford come off gold medal performances in the team event to win Canada’s first pairs medals since 2002. Married couple Alexa Scimeca Knierim and Chris Knierim delivered for the U.S. in the team event and finished 15th in the pairs event. Yuzuru Hanyu is the first man in 66 years to win back-to-back Olympic gold medals. He was also Japan’s first men’s Olympic gold medalist. Shoma Uno from Japan wins his first Olympic medal in his first Winter Games. Javier Fernandez’s bronze medal is Spain’s first-ever Olympic figure skating medal, and just the fourth-ever Winter Olympics medal for the country. Nathan Chen rallies from 17th to 5th place overall with a historic free skate, where he attempted six quads and landed five cleanly. Vincent Zhou finishes in sixth place in his Olympic debut. Adam Rippon closes out his competitive experience in PyeongChang with a 10th-place finish. Canada’s Tessa Virtue and Scott Moir cement their ice dance legacy by winning their third Olympic gold and fifth Olympic medal. France’s Gabriella Papadakis and Guillaume Cizeron capture silver in their Olympic debuts. Team USA’s Maia and Alex Shibutani win their second bronze medals of the Games after also capturing bronze in the team event. Team USA’s Madison Hubbell and Zachary Donohue placed fourth overall at their first Winter Games. Team USA’s Madison Chock and Evan Bates finish ninth in their second Winter Olympic appearance together. Alina Zagitova wins the first medal for the Olympic Athletes from Russia at age 15. She’s the second-youngest person to ever win this event. Yevgenia Medvedeva, who trains with Zagitova, took home the silver medal. She also won a team event silver medal with the OAR. Canada’s Kaetlyn Osmond took home the bronze, adding to her team event gold she won earlier in the Games.